Our intimate bar is the setting for aperitifs, pre-dinner canapés and post-dining digestifs. Guests gather around the open fire to greet new friends and old acquaintances, to catch up, share tales (many tall) and make new memories. 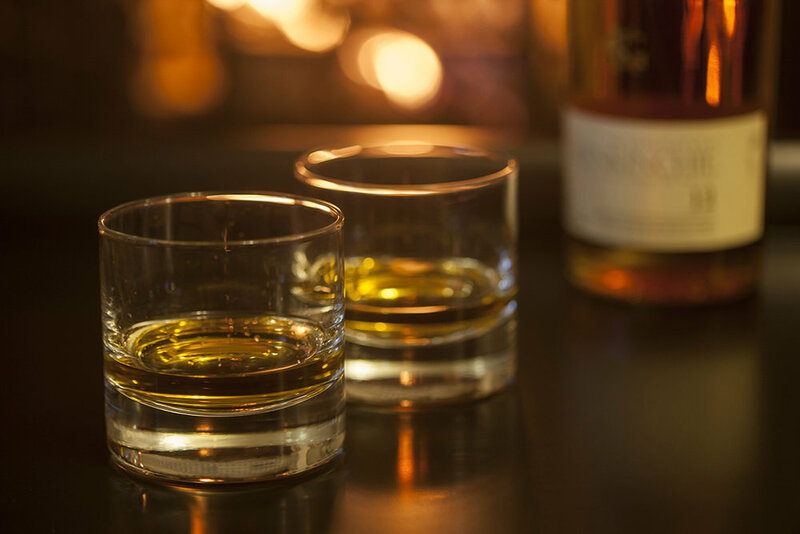 Our bar stocks an extensive range of malt whiskies, Scottish gins, and locally-brewed craft ales. Our wine list created in collaboration with L’Art du Vin, one of Scotland’s leading wine merchants, is designed to enhance your dining experience.